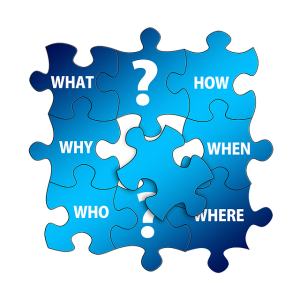 Why should I join the email list for Discussing Dissociation? Are you going to spam me ? Are you going to hassle me ? In the emails, I just talk to you. Everyday chatter. If you have any wondering about who I am as a person, these emails will be me just being me. You’ll get to hear stories and background information that’s not posted on the blog. I can introduce you to areas of the blog that you might not have seen or noticed. You’ll get new information about the Saddest Little Bear Dissoci-ACTION Story Pack before anyone else! You’ll get new information about the Discussing Dissociation Community Forum before anyone else! Your system will have more personalized contact with the Client Care Team — Claire and Alex. Your system will have more personalized contact with me. Hey — gotta say — who wouldn’t want an email from me ??!!! Your system has the chance to get to know me better, thus building a little more trust and rapport. With that little bit more trust, your system might feel a little more willingness to try some of the various Homework Tasks I’ve suggested from time to time. And if your system does some of the homework tasks or Dissoci-ACTION steps….. your system will improve their ability of working together. Because I promise you, if your system can learn to do some of the Dissoci-ACTION steps I toss out there, you will build better system communication. And better system communication means less conflict, and more cohesion, and better teamwork. And better team work means fewer headaches, better decision-making, less time loss, less frustration, more cohesion, and all that good stuff. Even if you cannot get officially involved in doing individual Consultations with me, you can begin to feel a relationship with me, and let your insiders be around someone who has a pretty solid and healthy understanding of DID, and pick up some very helpful tips and ideas along the way. 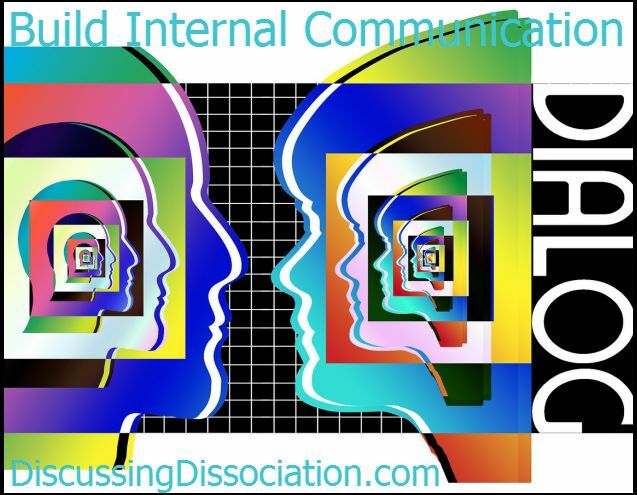 The emails from Discussing Dissociation offer ideas and suggestions to help YOU and YOUR SYSTEM feel better, to talk more with each other, and progress further with your healing. So don’t be shy. I’m not scary ! Join up for the Discussing Dissociation email list, and get some funny stories, some behind the scenes news, and Dissoci-ACTION ideas coming to you today ! Scroll down a little further and you’ll see a sign up box. Go to the top of the page, and you’ll see a sign up box near the top right-hand corner. Fill in the light green sign up page you see when you first arrive at the site. If you have any troubles, please contact the Client Care team on the Contact page! Thanks lots for joining the Discussing Dissociation community! I’m genuinely happy to see you here! I hope you learn lots, and find lots of support, helpful information, and build kind relationships, both inside and out. Wishing you the very best in your healing journey. I cant get onto the new Discussingdissociation website. I get your emails. I used to be able to see the content for the wordpress site, but this new one wont let me see anything. Whatsupwiththat? lol. The comment was something about it not being configured properly, errr I am not a techie so I have no idea what that means. Can’t wait to get it straightened out so I can join ya’ll. Safe hugs. The collective. I can see it! I can see it! I love the “101 + Ways to see DID”. Awesome work you did there. I will share with others I know to have dissociative issues. And, I will tell my talk doc all about it. 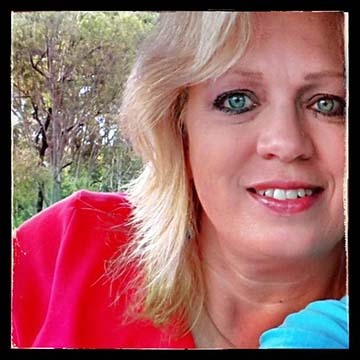 We have gotten some great info from your writings and this report is another excellent piece of work by you that we can use in our healing journey. TYVM! YAY YAY YAY, to the Collective !!! VERY good news !!! We’ve missed you around here, so it’s fantastic to see that you’ve found the place, and gotten all connected back in with the new stuff. Glad you’re finding it helpful, and soooooo glad you found us here again. Hi ngerbie and anyone else having trouble finding the new site and the new email list with comes with the free eBook, 101+ Ways to See DID. I certainly want you to find the new site and the new email list — absolutely !! Couple things to try — you might need to clear your history and clear out your internet cache as it may be taking you to the old site addressed based on that. Also, I would start completely new — not use any old links or anything like that. And the site is no longer on WordPress, so keep away from trying to link to it via WordPress. If you are viewing things via the following my blog via WordPress, you will definitely need to use some of these additional options to get straight to the new site. Try going to Google and put in Discussing Dissociation . Click to Discussing Dissociation from the newest Google link — that should take you to the new site. Or… type straight in your browser — http://www.DiscussingDissociation.com . Or … you can even try using a different browser, just to get to the site the first time. For example, internet explorer or Chrome or Firefox, etc. And do let me know if you get there, or if you can’t. It matters very much to me that everyone is able to see the new site. When you get to the new blog site, you’ll see all kinds of options for how / where to join the email list — it’s offered at the bottom each article if you don’t see it anywhere else. Stay connected — I hope to get a whole lot more stuff out there in the months and years to come ! And you are right — communication is the key, especially with system work, that’s for sure. I wish you the best in your healing. I think we’re signed up for the email list. Isn’t that what I did when I got us the 101+ Ways to See DID report? We got the report really early on, though, before you wrote the “How to find the free ebook” post. Sorry I’m having a bit of a brain melt here and it’s worrying me. I know it would be so good to get emails from you, and for my insiders and I to build a relationship with you. You understand us in a way no one else does. Well, apart from our therapist, that is. It would be great knowing there is someone else we can interact with…someone who is safe. Do I need to do anything else to make sure I’m on the email list? Thanks for writing. You’re doing everything right – you really are so no worries on your end. Yes, you are right – if you’ve gotten the 101+ Ways to See DID, you are definitely on the mailing list. Besides, I checked, and I can confirm that yes, you are on the mailing list — thank you much for that. AND thank you especially for writing why that matters so much to you. I appreciate hearing why these things matter to you all as well. I hadn’t thought of things the way you said it, so wow – it IS important, yes!! Part of MY brain melt is that new things have been added, and we are trying to make sure that the folks who joined in early don’t miss out on the new stuff that was added afterwards. I’ll get that fixed — just still working out the details with the web tech gal. Please let me know if you get an email titled “How do you feel when you see a picture of DID”. Are you doing for school doing a paper? I’m getting several questions about this so will make a comment out here for all to see. The WordPress “follow” emails are completely different from the Email List I’m referring to in this blog article. Following the blog is a WordPress thing, and the emails they send are a feature they offer. My new email list — the one with the free eBook, 101+ Ways to See DID — that email list requires a brand new sign up because it is a brand new service I’m offering, starting in November 2016. So even if you have been “following” this blog for years, that’s not the same as being on the new email list. My new email list goes through Aweber — a business that is completely different from WordPress. If you are getting the WordPress emails, you will see a link at the very very very bottom of the email that will connect you back to this blog via the article shown in the email. Click on that link, so you can see the new Discussing Dissociation blog itself. It’s got a beautiful teal-puzzle colored header on it. If you see that, you’ll know you’re in the right place. When you come to this new blog, you’ll see the various options to sign up for the NEW email list — the one that will give you the eBook. Hope that helps to explain the difference. Come on over and join the NEW email list to get your copy of the eBook!! Oh — and Janne — no, I’m not going to school or doing a paper. Are you going to school or doing a paper? I’m so excited about all of this! I’m looking forward to getting to know you and reading all you are so generously offering (including the new e-book). Can’t wait! Thank you so much for all you are doing! I wanted to add myself to the emails but it says they cant reach the server each time no matter which way i went, Are they not available in Australia? Oh goodness, I’m sorry for the hassle….. A few people have received that server error — it’s weird because it’s inconsistent for when or why it happens. And then it just “goes away” and works out of nowhere. Oh, and yes, of course the emails are available in Australia !! OH – Kari – good news — I just checked, and your email HAS gone through for the first step in the process. You would have received an email stating this. Next step is for you to confirm that it is a real email as right now it is “pending confirmation”. It won’t let you go further through the process until you click on the link that confirms that is a real email (not spam), and that yes, of course you are interested in moving forward. So please have a check around in all the folders you might have – your inbox, your spam folders, your promotions tab, your social tab… It will be there somewhere. 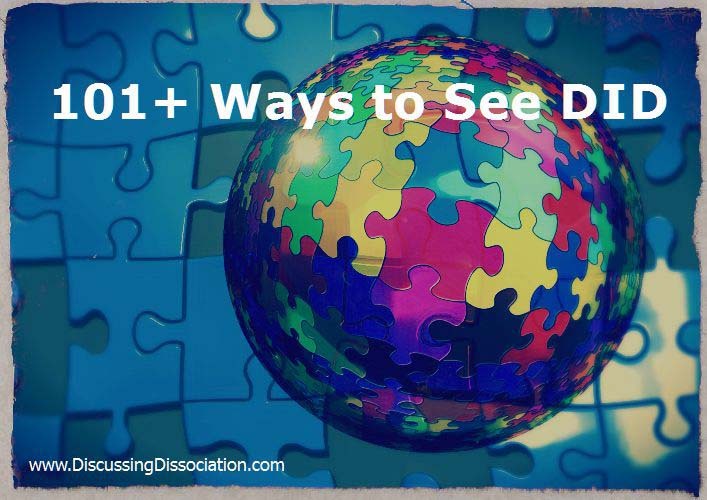 Search for an email from Discussing Dissociation – you’ll find it! Welcome, welcome, and thank you for your interest! hmmmm, Kari Zen… Very odd. I can see your email on the list, but it’s sitting there as pending confirmation. But you also were having those server issues, so… I’ll definitely write to the web tech gal about this. Maybe we can resend out a confirmation request or something. Let me get on that, and get back with you. We’ll find a way to get you on there ! Thanks for the feedback, and sorry for the trouble. Thank you so much for this. I was only diagnosed a few days ago and was recommended to look into your information and I think I am about ready to devour anything that helps demystify this. Hi, if I signed up to get the book, will I be on the email list? Thank you, I’m looking forward to learning more about this. Can we reply to you through the email? However…. I can sometimes get flooded with emails, so I won’t necessarily have the chance to respond to all that I receive. I’m in the process of solving that problem (I have some ideas). I’m hoping to have a better process in place soon. So yes, you may send me emails. Just don’t hold your breath waiting for a reply. I get very behind in emails very quickly. Thanks for your interest though. Very much appreciated. hi. i want to sign up for your email list but we can’t find the link to do it. could you please help? thank you. I’ve signed up for the email before, however it did no go through. Trying again. Thanks for all you do! AND… the good news is, I can confirm that yes, you are absolutely signed up for the Email Newsletter, and thank you for your interest in that. To answer your other question, my info gets sent out in various ways. The Email Newsletter, definitely. Twitter for sure. The Facebook page too. Pinterest as well. Those 3 medias have a lot of the Discussing Dissociation info. You can see the icons for Social Media in the “Let’s Connect” box, right side column, right above my picture in the red shirt. Also — you can write in from the Contact Me page (you can find this at top right corner of the page), and ask the Client Care Team additional questions if you have any. LOTS of ways to reach me and to stay in touch! Thanks much for your persistence — it’s good to see you here.